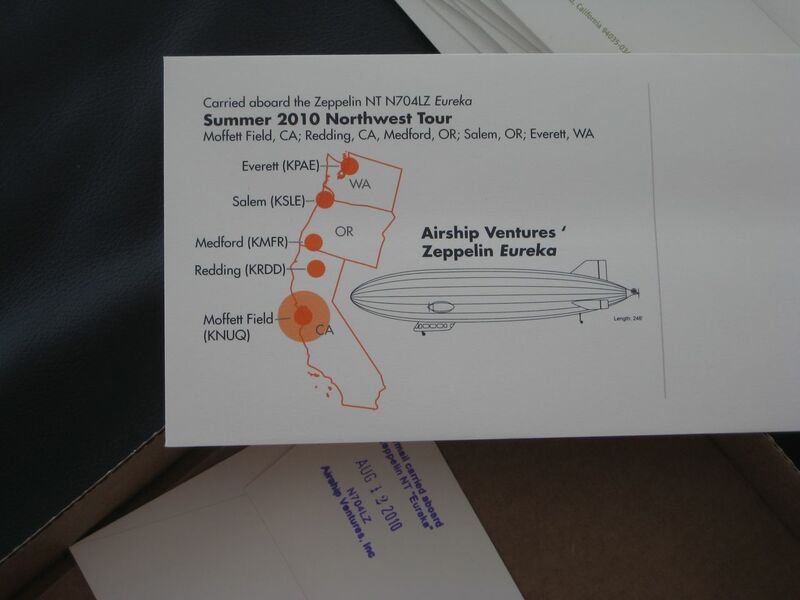 Airship Ventures: Stamping the Zeppelin mail. 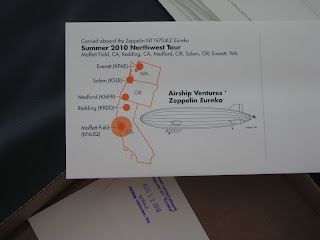 While we haven't yet decided what we're going to do with them, we've been making sure that on unique or first flights we carry some Zeppelin Mail. Currently we have the very rare (only 100 done) covers that include our maiden flight in May 2008, and 150 that we carried on our distance record flight to San Diego. 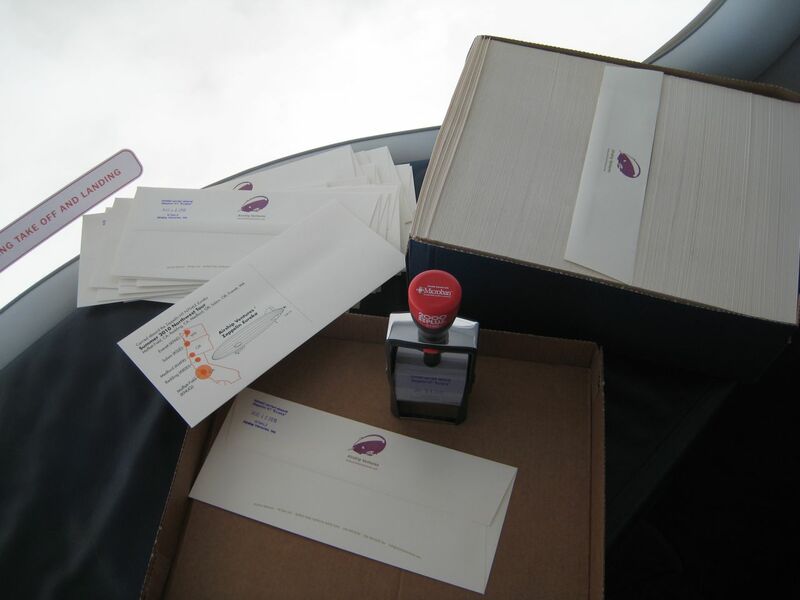 We have produced 200 envelopes that we're carrying on this tour. So far they've been stamped on board for the Moffett to Redding and Redding to Medford legs, as well as getting the appropriate cancellations on the ground. Perhaps by the time we get home we will have decided how best to use these fun collectibles!